Southampton FC extends its Verteda hospitality and venue management solution with unique queue-busting smartphone app. 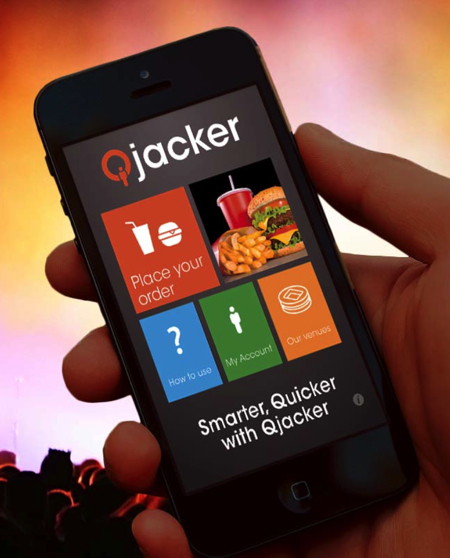 Premier League club Southampton Football Club (Saints) is implementing QjackerTM from Verteda Ltd (formerly Agilysys (Europe) Ltd) at St Mary’s Stadium, enabling fans to pre- order food and refreshments from their smartphone or desktop – and so avoid queues at concession stands in public concourse areas. With a capacity of more than 32,500, St Mary’s is a UEFA 4-star rated stadium and the largest football stadium in the south of England outside London. In addition to busy concession stands in public concourse areas, St Mary’s has 47 Executive Boxes serving up to 500 VIPs plus six dedicated hospitality suites and lounges with a combined capacity of over 1,350 guests. Time and motion studies have shown Qjacker enables stadia to better cope with “pinch points” and serve as many fans as possible in limited time frames: in-venue studies showed reductions in serving time from 10 minute’s queuing to only 40 seconds. Stand-a-lone of fully integrated with Verteda’s InfoGenesis POS, Qiacker creates new opportunities for operators to tap into latent revenue within their stadia, arena or entertainment venues, helping generate 5-10% of incremental sales for every event – and 20-30% increase in customer spend .